To meet these needs, practices have begun working together and with community, mental health, social care, pharmacy, hospital and voluntary services in their local areas in primary care networks. Primary care networks build on the core of current primary care services and enable greater provision of proactive, personalised, coordinated and more integrated health and social care. Clinicians describe this as a change from reactively providing appointments to proactively care for the people and communities they serve. Where emerging primary care networks are in place in parts of the country, there are clear benefits for patients and clinicians. Watch a short animation that explains the concept of primary care networks (PCNs) and how this new way of working enables health and other services to work together to provide better access for patients. For more information on primary care networks, please click here. 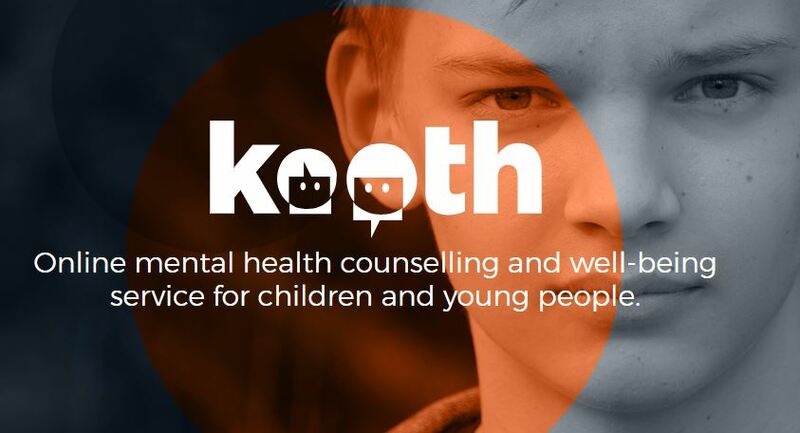 Kooth is a new online counselling service supporting young people’s emotional wellbeing and mental health. The online service can help young people avoid the stigma sometimes associated with seeking help. Oxford Health NHS FT, lead mental health provider in Buckinghamshire, Buckinghamshire County Council and Buckinghamshire Clinical Commissioning Group have commissioned XenZone, provider of online counselling services, to give children and young people access to professional mental health counsellors through its online Kooth service. Young people aged 11 to 19 register anonymously on the site, which gives them access to drop-in or booked online chats with British Association for Counselling and Psychotherapy certified counsellors, psychotherapists and emotional wellbeing practitioners. Young people are encouraged to identify goals and monitor progress with their counsellor, charting movement as progress is achieved. The Kooth site is accessible at any time, via any connected device, helping to eliminate the stigma often associated with asking for help. The Kooth site is accessible at any time, via any connected device, helping to eliminate the stigma often associated with asking for help. The online counselling team is available on Kooth between mid-day and 10pm on week days and from 6pm until 10pm at weekends. They have access to moderated peer to peer support, forums, self-help materials, discussion groups and a mood journal, where they can record their thoughts and feelings. They are encouraged to identify goals and monitor progress with their counsellor, charting movement as progress is achieved. They can also read and contribute to the Kooth online magazine. If you are a patient registered at Chiltern House Medical Centre, High Wycombe, then we would like to hear your views on the future of the practice. NHS Buckinghamshire Clinical Commissioning Group (CCG) is working with patients, the staff at the practice and NHS England to develop plans for Chiltern House Medical Centre. Nicola Lester, Director of Transformation at the CCG, said: “We are keen to work with the patients at Chiltern House Medical Centre and use this opportunity to find out what patients would value and what the services could look like in the future. In July of this year, the GP partnership which held the contract to provide primary care medical services at Chiltern House Medical Centre ended. An interim contract was then awarded to Primary Care Management Solutions, to maintain services for registered patients at the practice for up to 12 months. We would reassure patients that this period will allow time for full and thorough planning process to take place before any future changes may be made. Dr Rebecca Mallard-Smith, Clinical Director of Community Urgent Care, said: “This new service is an example of how we can all work together to improve care for our patients. For us to launch this new service, all GP practices have been working closely together to ensure that appointments are available between 8am and 8pm including other local surgeries to your normal surgery. “This should mean that patients also have greater flexibility for routine, bookable appointments. Patients can receive the care they need, closer to home, at an agreed time preventing the need to use our urgent care facilities for GP care. Practices will be offering this ‘improved access’ service up until 8pm from Monday to Friday, and on selected hours on a Saturday (your registered practice can confirm which practices are open). “We would like to reassure residents there are no plans to close any GP practices in Wycombe. “Currently, we are working with a GP Practice that wishes to move onto the Wycombe site; this offers opportunities for Clinicians across the Minor Injury and Illness Unit, Hospital services and the GP practice to work even closer together for the benefit of our local population. We refer to this type of co-location of services as a ‘hub’. “Clearly, once any decision is made, the practice would liaise with patients accordingly to keep them informed of any developments.